Pope Francis has given his approval for the Catholic Church to hold the first Plenary Council — the most significant national gathering that can be held — in Australia in more than 80 years. "The Australian Bishops are deeply grateful to Pope Francis for affirming the decision and we ask all people to join in prayer as we embark on this journey together as God's people in Australia," said Archbishop Mark Coleridge of Brisbane, chair of the Bishops Commission for the Plenary Council. "The Council will be a unique opportunity for people to come together and listen to God in all the ways God speaks to us, and in particular by listening to one another as together we discern what God is asking of us at this time —a time when the Church in Australia is facing significant challenges. In approving the Plenary Council, Pope Francis also endorsed the bishops' nomination of Perth Archbishop Timothy Costelloe SDB as the president of the Plenary Council. Archbishop Costelloe said he holds great hope that the Council will bring about a period of authentic renewal. "This is a significant moment for the Catholic Church in Australia and I look forward to walking with the people of God as we look towards the future," Archbishop Costelloe said. "I am honoured by the appointment as President of the Plenary Council and am committed to listening to the Spirit." Archbishop Costelloe commented. "1 encourage all Catholics, whether devout or disillusioned, fervent or frustrated, to seize this opportunity to speak what is on their minds and in their hearts." Plenary Council facilitator Lana Turvey-Collins said she is inspired by the many faith-filled people across the country who have shared their hopes for the Church with her during a series of planning meetings. "People are both curious and passionate about how all people — particularly people who are marginalised, vulnerable or distant from the Church — can be part of preparing for the Plenary Council," she said. "The process of listening and dialogue, beginning at Pentecost 2018, will help form the agenda for the Plenary Council. It's a chance for us all to learn to become a truly listening Church. All people are invited to share their story of faith, of life and of their experience of the Church." 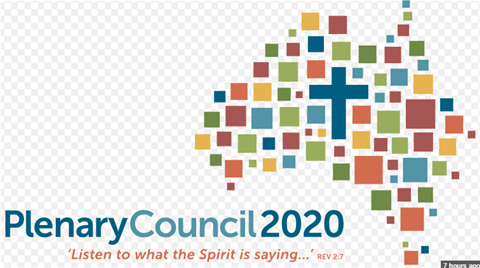 The website for the Plenary Council was launched this week and helps people better understand how they can participate in the process. "Signing up to the e-newsletter and the Plenary Council social media channels is the best way to stay up- to-date with local and national activity for Plenary Council," Ms Turvey-CoIIins said.